Dr. Fine, I’m extremely shy and have been told that my self-confidence is almost zero. My mother tells me that my lack of self-confidence can affect my health. How can this be true? And if so, how can I fix this? The most important relationship we will ever have in our lives is the one we have with ourselves. Therefore, the most influential conversations we have are the ones that we have with ourselves. Self-confidence is not merely a positive emotion; it’s an energy that exudes optimism and determination. Successfully having faith in ourselves and believing in our abilities enables us to be in touch with our intuition, our sixth sense. Additionally, our perception of self has an enormous impact on others in terms of how they perceive us and how they respond to us. When we are self-confident we project a positive energy within ourselves and to those around us. Brain neuro-imaging studies suggest positive perceptions that influence positive emotions trigger our brain and autonomic nervous system to release chemical messengers. These anatomical structures are responsible for over 90% of our body’s internal functions. They regulate our neurotransmitter and hormonal responses, our metabolism, our sleep wake cycle, digestion and the function of our immune system. These chemical messengers, dopamine, gaba, norepinephrine, serotonin and acetylcholine significantly contribute to our thoughts and feelings. They affect our mood, ability to focus and effectively problem solve, and how we experience pleasure. They influence our energy and our perceptions thereby leveraging our behavior. Conversely, a negative self-image will elicit negative emotions, which can trigger the stress response “fight or flight” causing the brain and autonomic nervous system to automatically and negatively affect us in a dramatic fashion. Prolonged stress will cause a cascade of responses that can destroy our health and our happiness. Brain imaging is starting to reveal the complexity of the human response. The human response is a product of orchestrated combinations of biochemical forces influenced by personal experience, religion and culture. Our expectations, relationships, our understanding of self and how we express our sexuality are all intertwined with our self-confidence. Our behavior is the key to our happiness and all behaviors begin in our mind, with our inner dialogue. 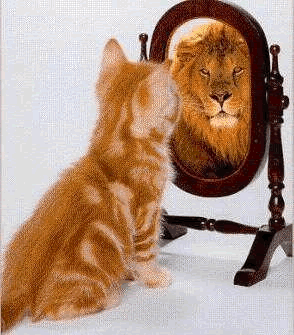 Self-confidence requires you to be self-aware, to forget “normal”, and is necessary if you wish to discover your personal style, your vision and potential. In order to achieve levels of high self-confidence I suggest counting your successes while learning from your failures. Eat healthy, exercise, meditate, celebrate your sexuality, honor your friends and family, be a good citizen, have fun, always get enough sleep and take steps to improve your general health. Understanding the benefits and risks of your lifestyle choices can influence your general well-being as well as how you age. Private sessions with a professional provide one the opportunity to explore what they want out of life. This process allows one to become self-aware. A professional perspective combined with support, feedback and the creation of realistic individualized strategies can be of great assistance to ensure success. Self-confidence is a resiliency and undeniable good vibration.